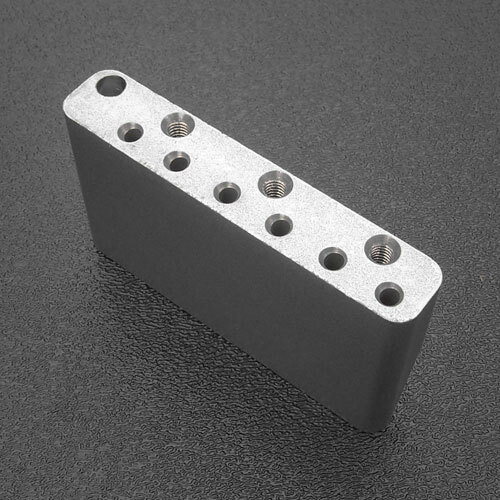 Genuine Fender® Stratocaster® tremolo block as used on the 2008 to 2016 American Series Standard Strat's. Improved special copper-infused high mass steel for authentic Strat® tone, increased resonance and sustain. Fits American Standard spec with 2-1/16" E to E string spacing. Accepts standard 10-32 threaded tremolo arms. Average weight 232 grams. September 2017: This tremolo block is now the only replacement block for all American Standard Strat's from 1986 to 2016. 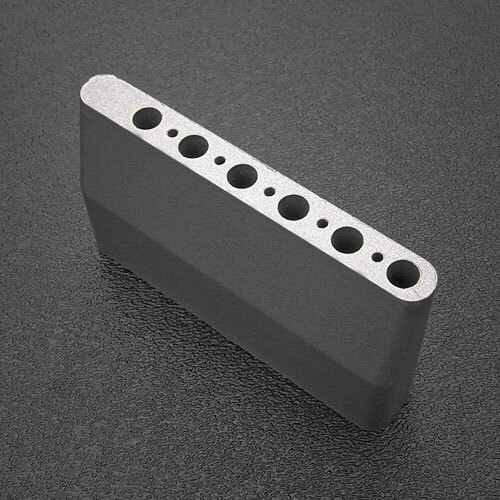 Fender has discontinued the original 002-6098-000 tremolo block. There is no difference in dimensional spec, only the composition where the original was solid steel and this one is the improved version of special copper-infused high mass steel. If you don't have top plate mounting screws we have them at 268-758-3071.